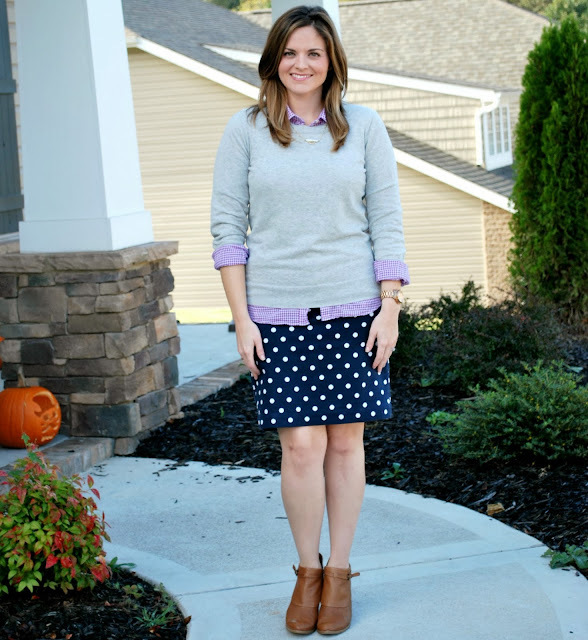 I loved wearing this polka dot skirt in the spring and summer, and I wasn't quite ready to put it away for fall, So in a effort to keep it fresh and on trend, I added gingham, layers, and ankle boots. I wore this to church the other day, and I was pretty proud of myself for mixing prints and trends in a way that didn't make me feel like a child trying to dress herself. Which, let's be honest, happens more often than not. 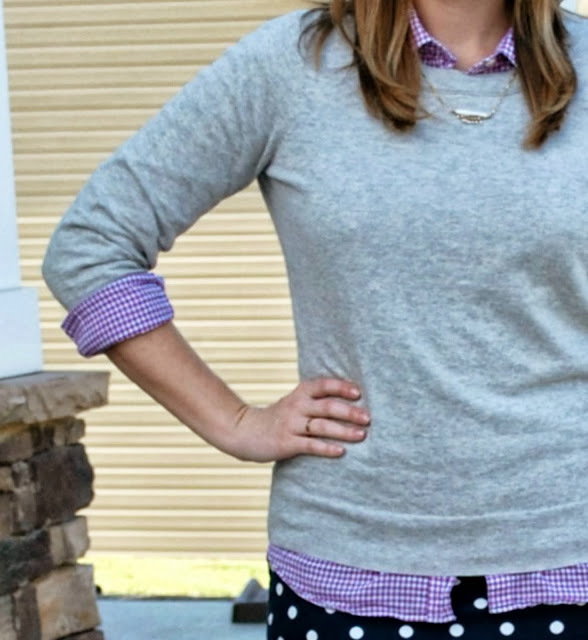 Linking up for Style Sessions, What I Wore Wednesday, & Trend Spin. Oh my gosh! You are adorable. I love this look. I really like this look! It is surprsing how things can look good together when in theory they shouldn't. May I ask if your skirt is navyor black? I love the skirt with the booties! The colors are very pretty together. Love the print mixing in this outfit! 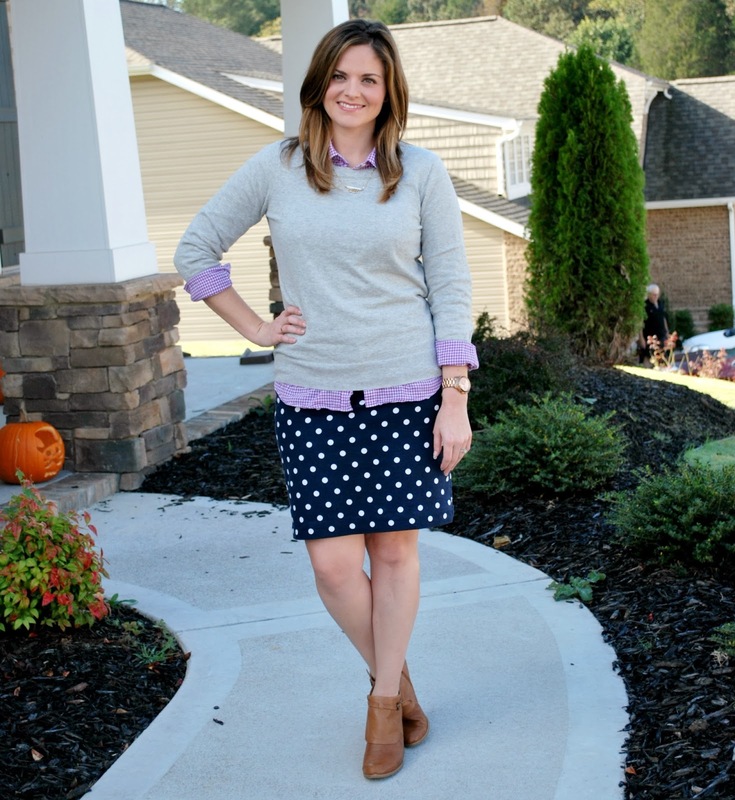 No need to put away this skirt for fall, it totally works with those booties! Visiting from the link-up and I am loving this! I'll definitely be recreating your amazing outfit! Super cute love how you added your booties for a fun Fall look. So cute! I love mixing prints!! SO fun! and I really like those boots! found you from the WIWW linky happy saturday girl!